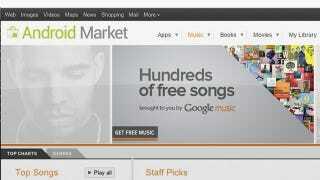 One of the coolest features of Google Music is the free jams they're giving away every day. We went through and picked out some our favorites from the list for your listening pleasure. The free music tends towards hits—everything from 60's soul to 90's alternative—but it also includes exclusive tracks by big name artists like the Rolling Stones and Busta Rhymes. That's pretty awesome, but unfortunately it's not all that easy to see ALL of the free music in one place. Some of the best stuff is buried within Google's catalog, so we went through and put together a playlist of tracks we love. Since Google Music doesn't yet have a way to share the playlists you've made (really? ), there's links below. We recommend you put them in the order below. We, like, totally optimized it for flow, man. Busta Rhymes Ft. Chris Brown - Why Stop Now?